Natalie Peach is a Postdoctoral Research Fellow at The Matilda Centre for Research in Mental Health and Substance Use at the University of Sydney. 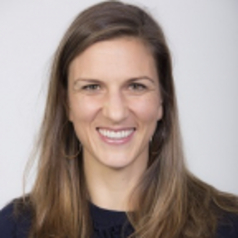 Natalie is the project coordinator on the COPE-A clinical trial, investigating the efficacy of integrated exposure-based therapy for co-occurring post-traumatic stress and substance use disorders in adolescents. She has a Master’s degree in clinical psychology and recently completed a PhD on phenomenological relationships between psychotic symptoms, PTSD symptoms and childhood trauma in young people with early psychosis. Natalie’s research and clinical interests include early interventions in youth mental health, treatments for young people who have experienced trauma, and links between symptoms of traumatic stress and other mental health conditions such as psychosis and substance use.